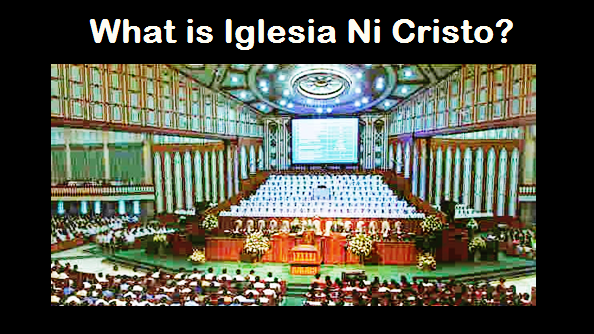 THE IGLESIA NI CRISTO: What happens to a person when he dies? Thus, let us disregard all concepts and notions about death made only by men. Let the Bible speaks about this topic. Let us find the biblical Truth about death. Because man is compose of body, soul and spirit, let us find out what will happen to man’s body soul and spirit when he dies according to the Bible. If the soul and the spirit are not one and the same, thus, what will happen to the soul is different from what will happen to the spirit when a person dies. Thus, the biblical teaching about the soul does not conform with the popular belief about the "immortality of the soul." 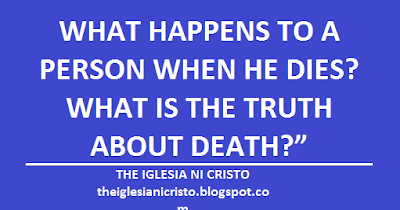 The Bible clearly tells us that when a person dies, his “inner person” or his soul also dies. What would be our conditions when we died?